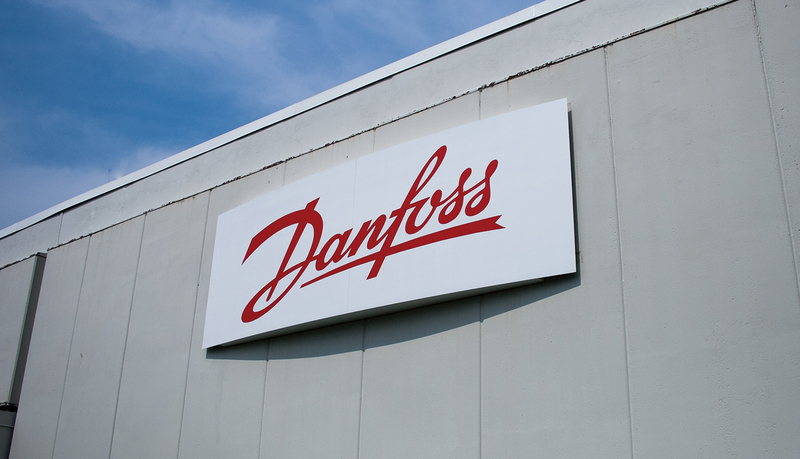 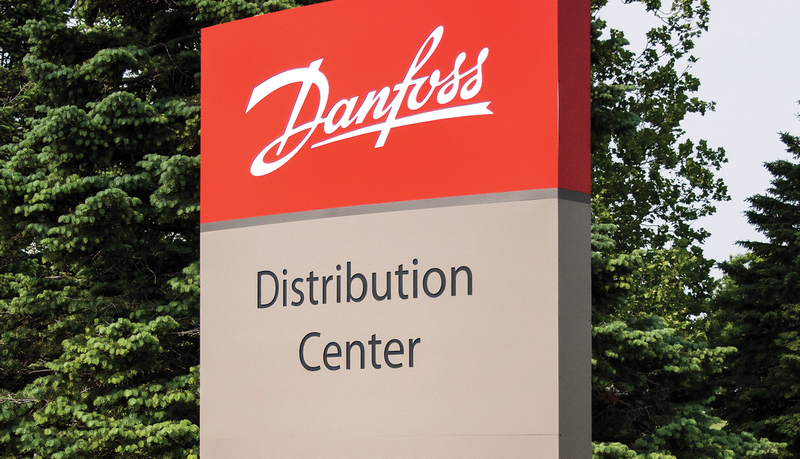 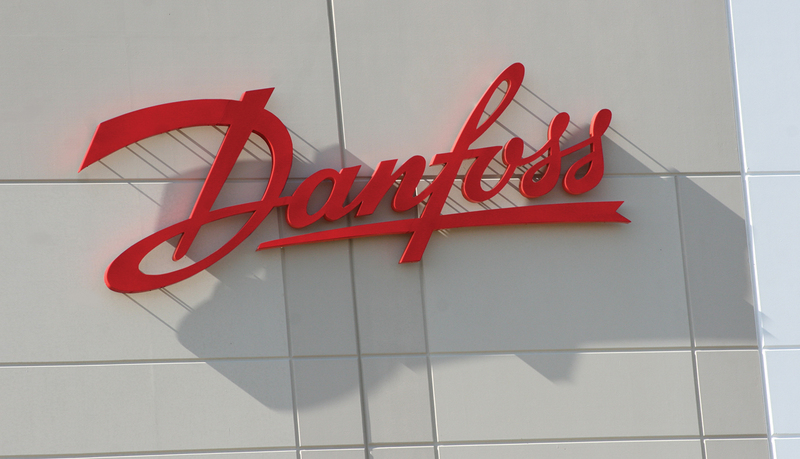 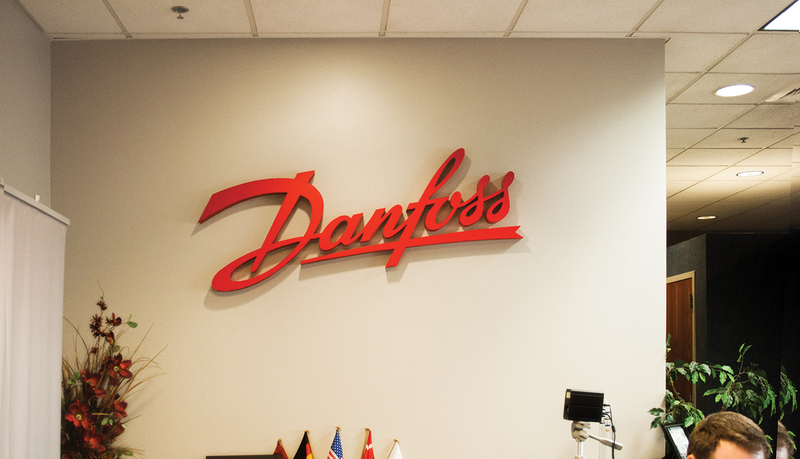 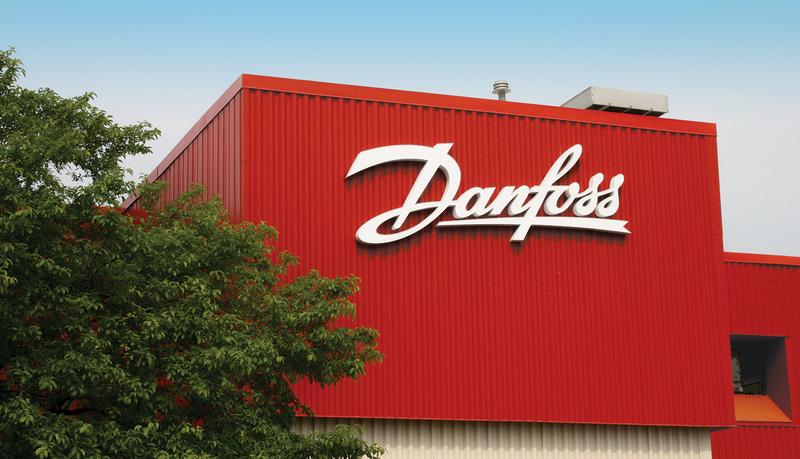 Sauer-Danfoss was purchased in their entirety, by their European partner, Danfoss. 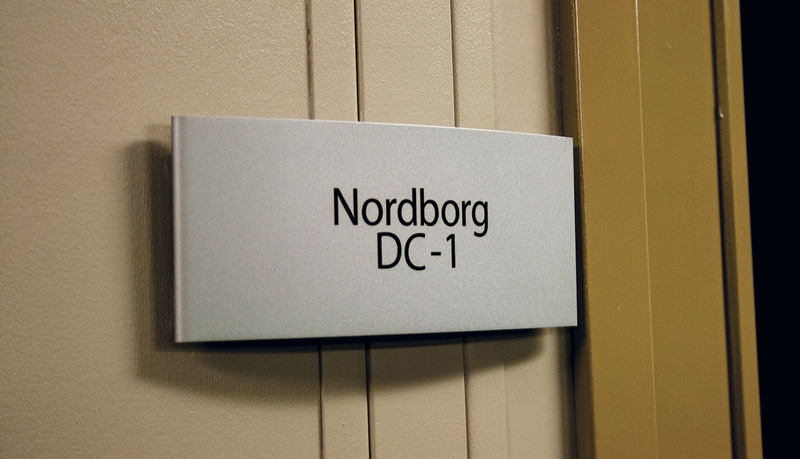 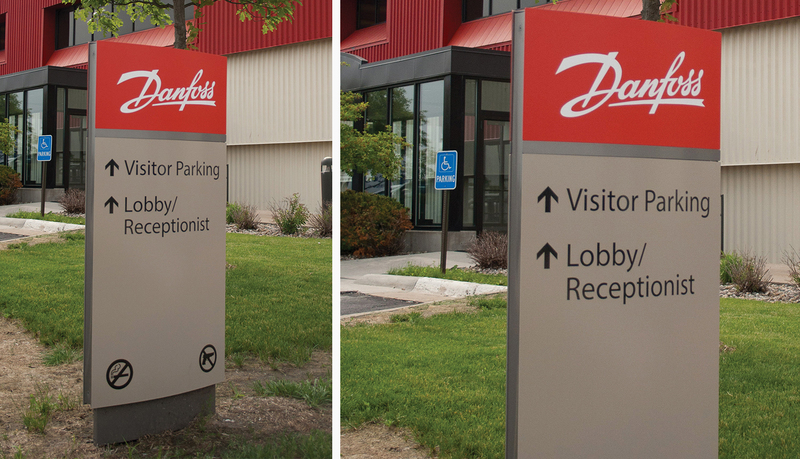 The purchase required a re-brand of interior and exterior signage at their multiple facilities. 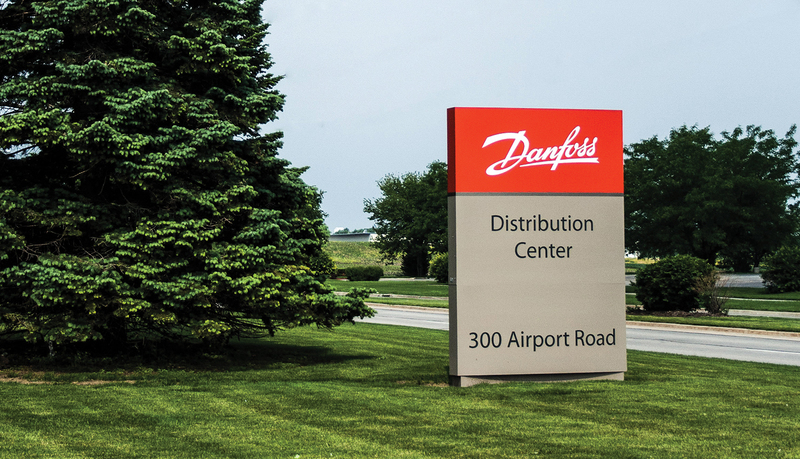 This was a fast tracked project at multiple sites that needed to be completed within an 8-week window. 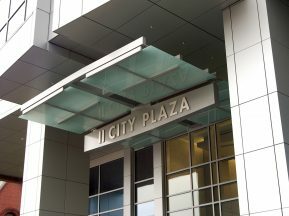 It entailed design, programming message schedules and installation as well as negotiations with the cities of Ames, IA, Freeport and Love Park, IL and St. Paul, MN to comply with code. 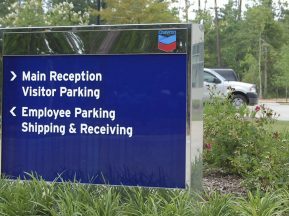 Products ranged from large internally illuminated monoliths, face-lit channel letters, wayfinding monoliths as well as interior wayfinding and room IDs. 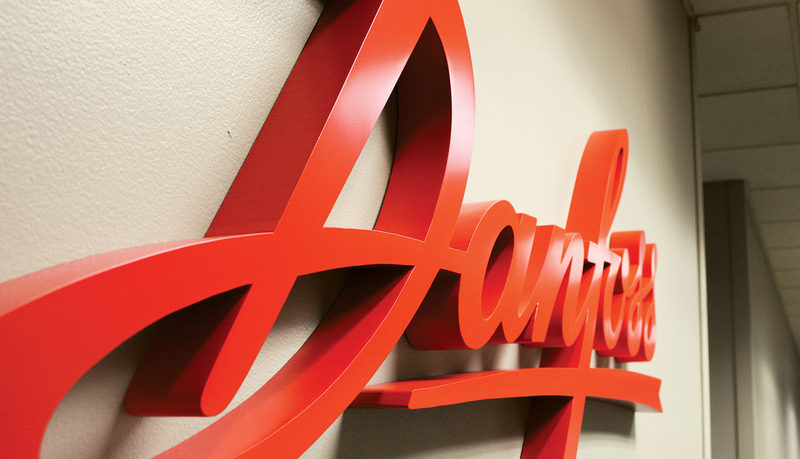 All products were to be similar and compliment the brand. 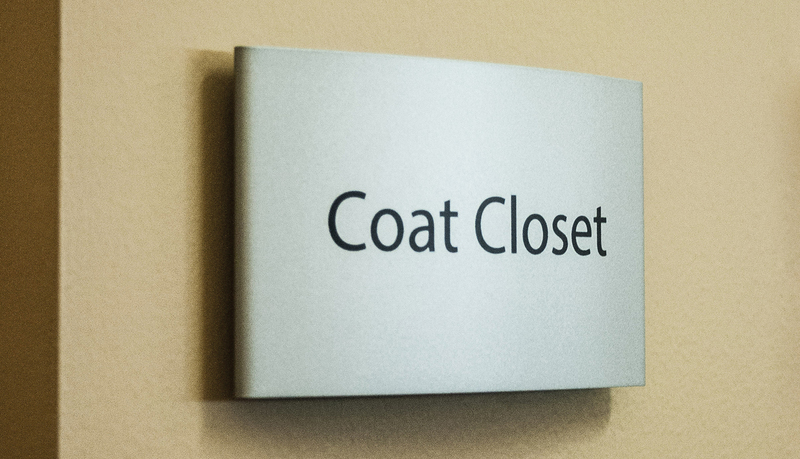 The client wanted to maintain a similar component and design with all sign products. 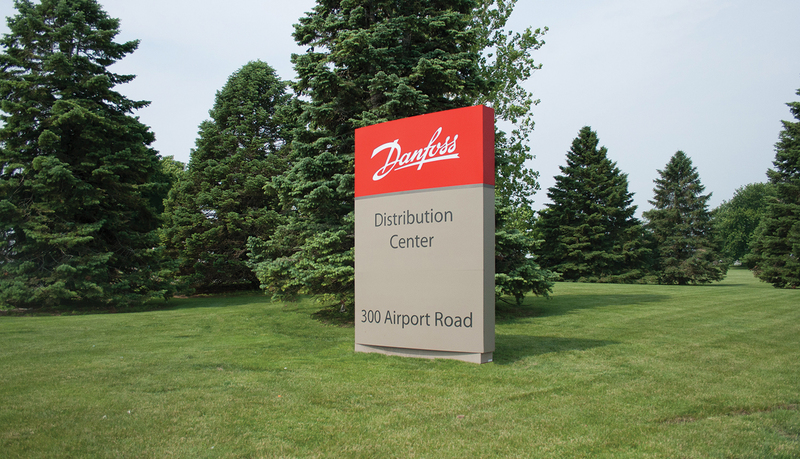 Curved faces drove the selection of products. 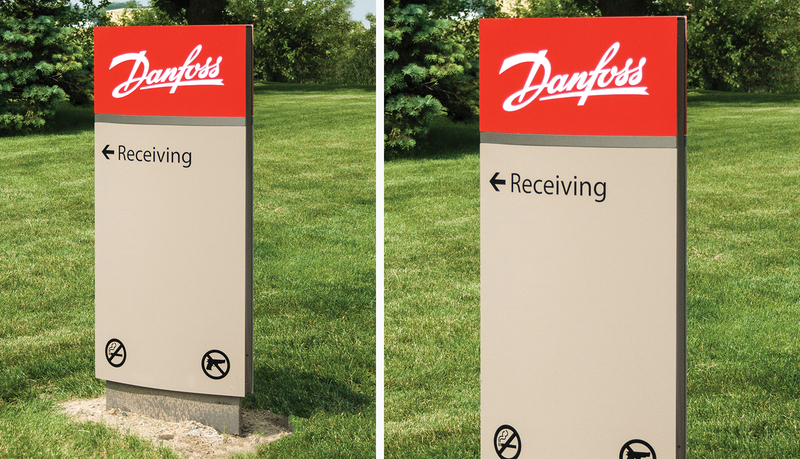 Large curve faced custom monoliths, as well as Pacific Exterior™ wayfinding monoliths, were utilized for the exterior. 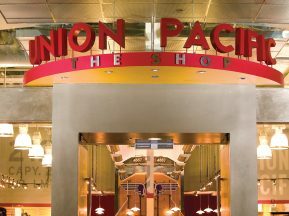 The interior utilized Pacific Interior™, which kept in sync with the design intent. 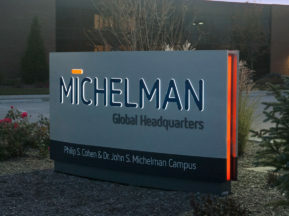 This project was a part of new brand identity program. 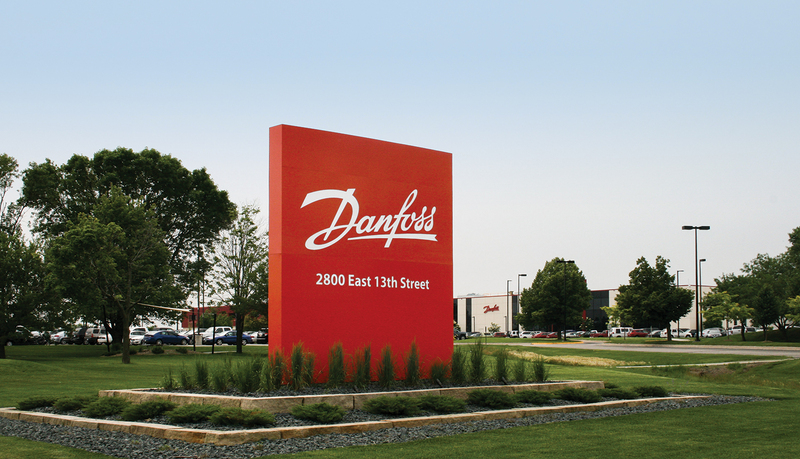 Curved face elements and bold red colors brought attention to their brand at each of their locations. 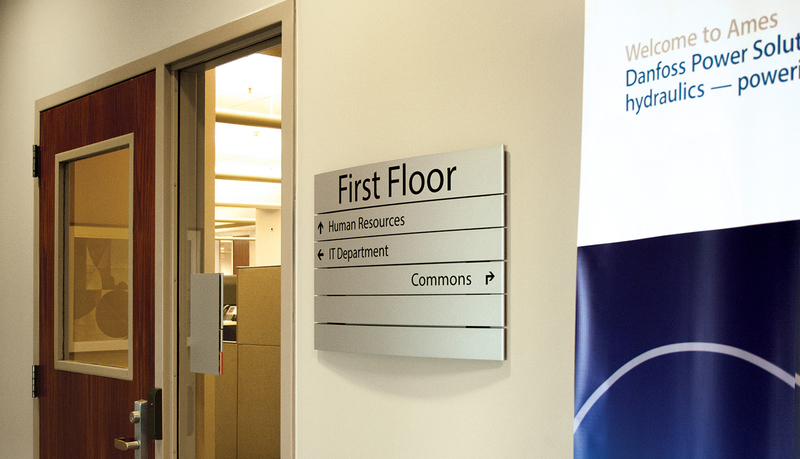 ASI planners enhanced an existing system that was replaced and added needed elements to the wayfinding utilizing additional wall mount directionals as well as overhead department identifiers. 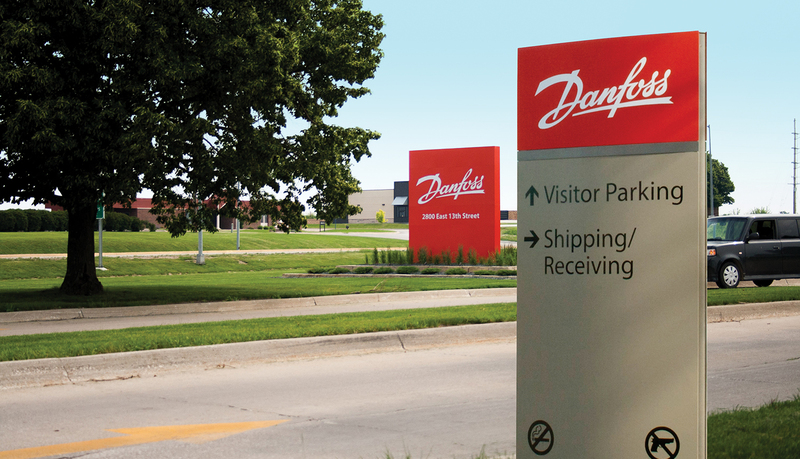 There were multiple facilities that included corporate offices, manufacturing facilities and shipping facilities. 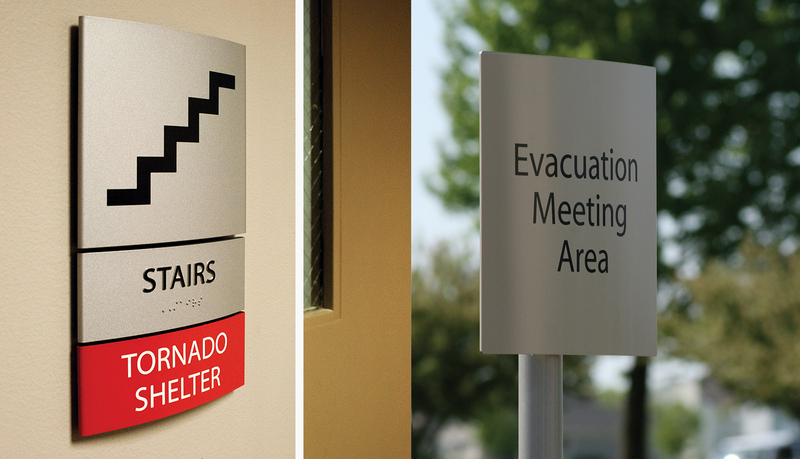 All aspects of signage were used at each location. 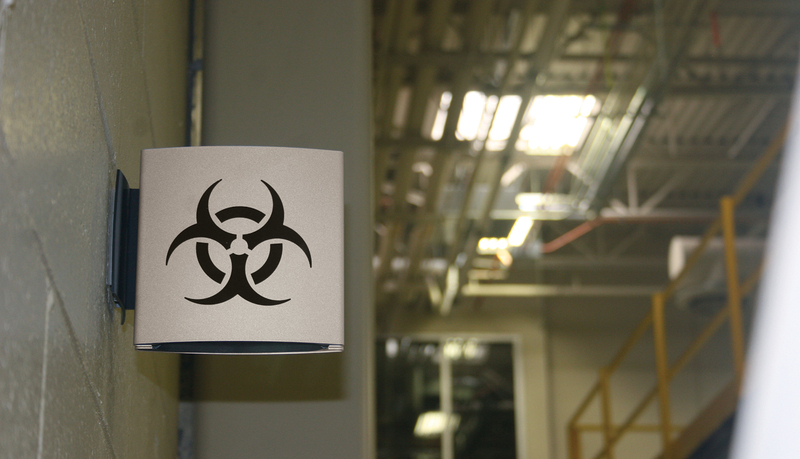 Identification and wayfinding on the factory floor brought new challenges to comply with OSHA regulations.